Waving – Repeated moving of arms or hands to signal. 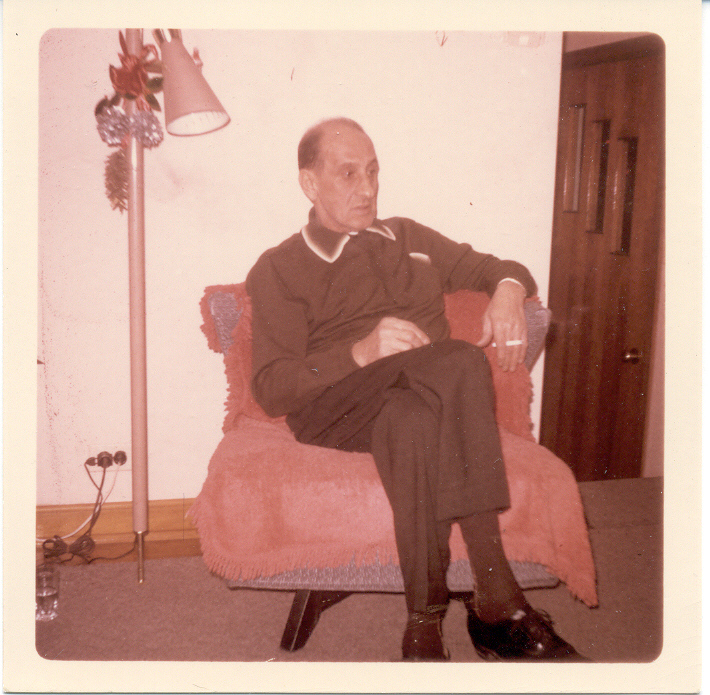 This is a picture of my Great-Uncle Louie in 1965. My mother loved him so much – he was good to her when she was a child and although we did not live particularly close by, every summer he took us (my mother, sister and I) to see the Cubs play at Wrigley Field. Uncle Louie was an uncle by marriage, but he & my Aunt had no children of their own and loved having us kids over. The last time I saw him was waving to my sister and I from the window of his hospital room. We were pretty young and didn’t understand why we couldn’t go see him or that he was so sick that soon we would no longer see him. I didn’t like waiting in the car in the hospital parking lot – I wanted to go in and hear my Uncle laugh. My sister and I also had no idea that he had a brother who looked very much like him – at the funeral home, we couldn’t stop staring at at his brother Al. We had no idea who Al was or why he looked so much like our Uncle. I do remember though Al’s kindness in taking us up the street to get some ice cream and get away from the funeral home for a while, as well as his amusement at two little girls who couldn’t stop staring at him. Word for tomorrow – HEADS. If you prefer to work ahead, see the list for the week under “A Word A Day”. ← Undo The Past & Miss What? I love your family memories. They tell of a wonderful time when life seemed focused more upon people and relationships, than things and a “what’s in it for me” mentality. I’m glad you like the challenge. And thanks so much for the comments and the encouragement. I think my childhood and teen years revolved around family. Since marriage that has deteriorated (unfortunately). My in-laws are not close and that is better for us. But I am close to my sister still, I talk to my Mom on most days, and have a close relationship with my father’s second family. When I see my cousins, the years go away and we are as close as ever. Good idea about writing on random words. I’ll have to keep that one in mind.